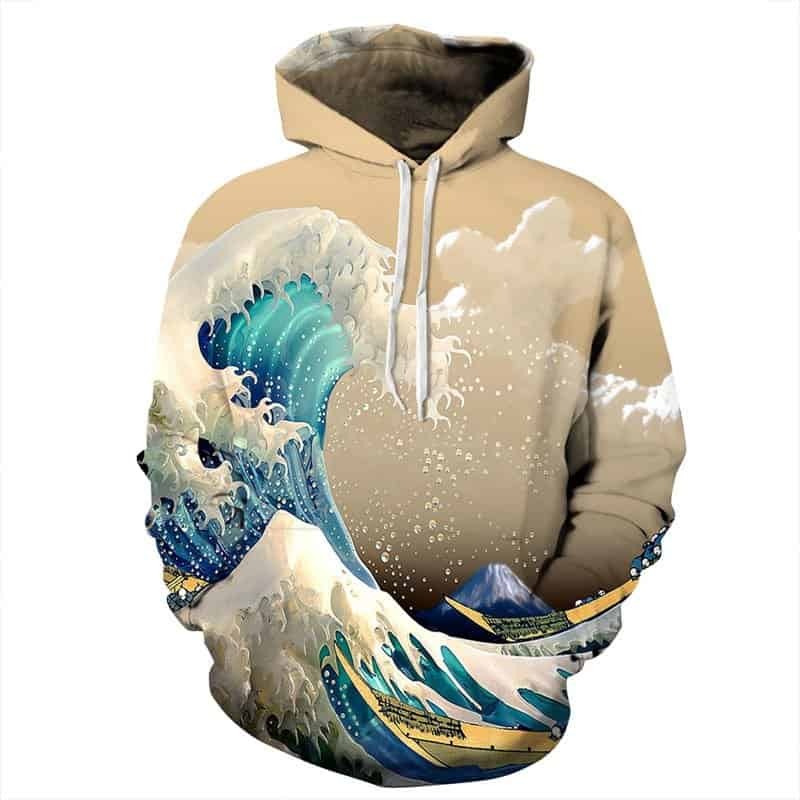 A cool print concept of waves crashing hoodie. 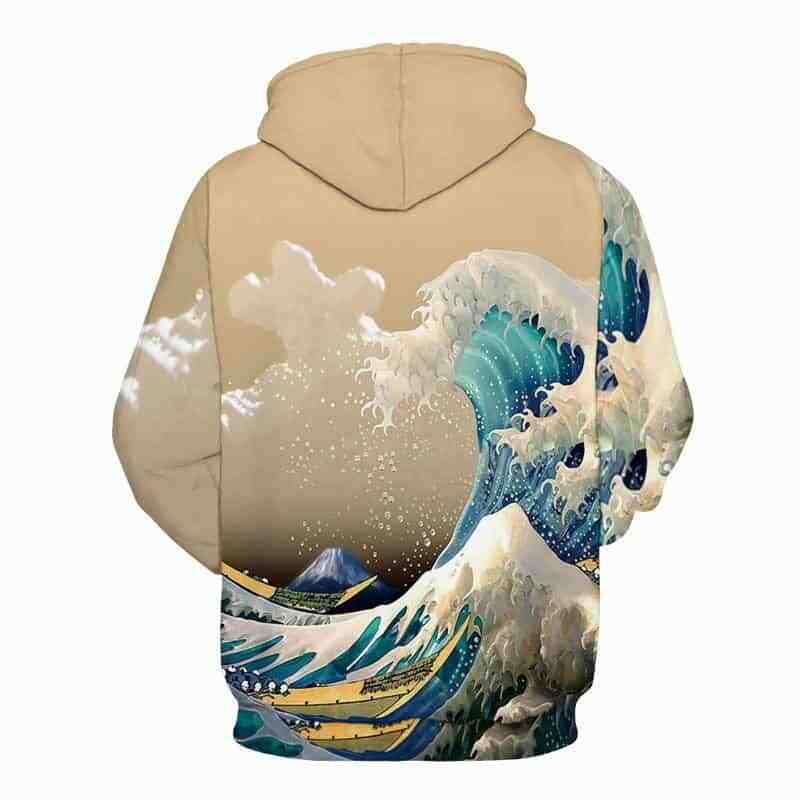 The hoodie itself is a beige color while the waves are a light cyan blue. In the background you have the perfect cone shaped mountain. The hoodie is comfortable to wear, looks fashionable and is wearable anywhere. It was designed for both male and female. Color is as seen on the picture. As all of those 3D Shirts the print is rather unsharp. Hey, that’s pretty goooooood. Pretty good quality. better than expected! nice smooth fabric. looks great feels great. perfect, As well as the CARVING, right EVENT “m” To Girl 1,72 height, 120. no Is To abrigar sino To entretiempo Dress or day. COLORS living as picture.